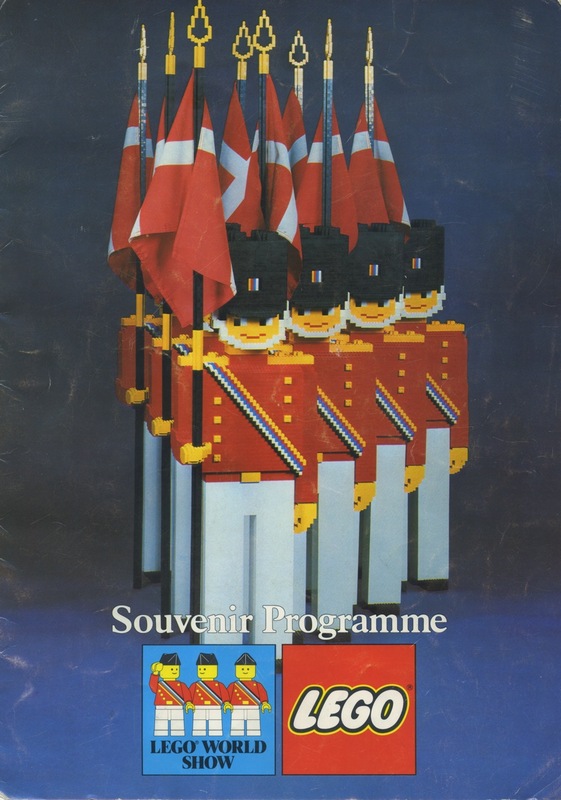 On Eurobricks member Def shared scanned-in images from a LEGO souvenir program for the LEGO World Show that was on display during Christmas time in Canada in 1984. Many of the younger builders (early 20 somethings and teens) may not remember LEGO Truck Tours and shows. With four LEGOLAND Parks, the LEGOLAND Centers, and LEGO Stores all over the world LEGO just doesn’t do elaborate shows that travel around quite as much. 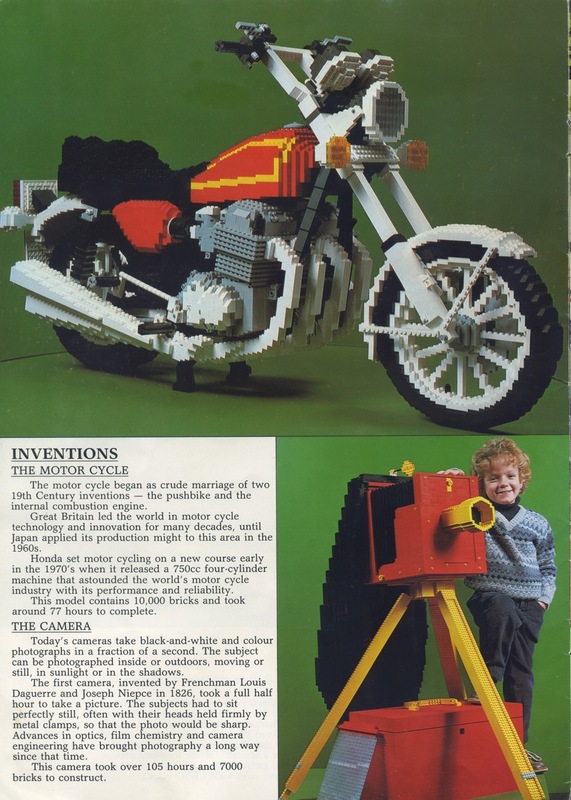 Compared to today’s model building standards, some of these models seem quaint and even simplistic. However, it must be said that models such as these were the inspirations for many of us when we were children. 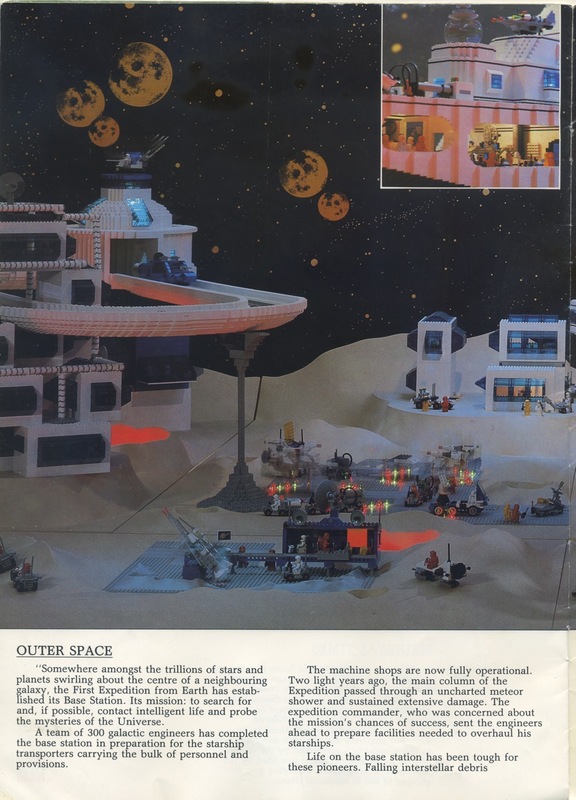 It also must be stressed that Master Model Builders of the 80’s did not have all the various colors, parts, and elements that we do today and yet they still managed to create some stunning creations. 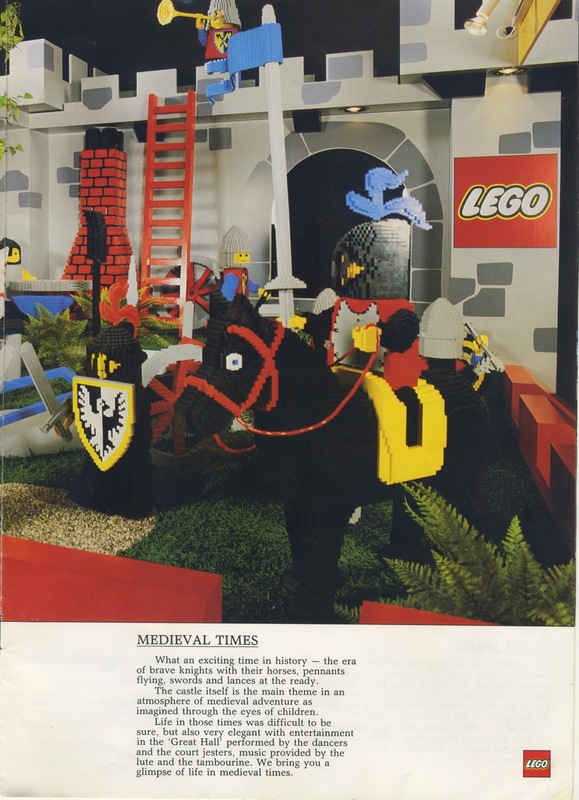 Although many of us look back fondly on our childhood memories of Classic Space, Classic Castle, etc. LEGO shows and truck tours such as the one pictured here were the only way most of us ever got to see the larger than life creations of Master Model Builders. In many ways the younger builders of today are spoiled in comparison. Nowadays with the internet, the LEGOLAND parks, LEGO stores, etc. even if we can’t physically go to these places, we can see images of the models around the world. Also, with resources such as Flickr, Eurobricks, and MOCpages not only can we see what Master Model Builders are doing but we can see what other LEGO fans are creating. And with Pick-a-brick and Bricklink we can create monumental creations of our own. We’re happy to announce that the nomination process for LEGO Ambassador Cycle 7 is now open. 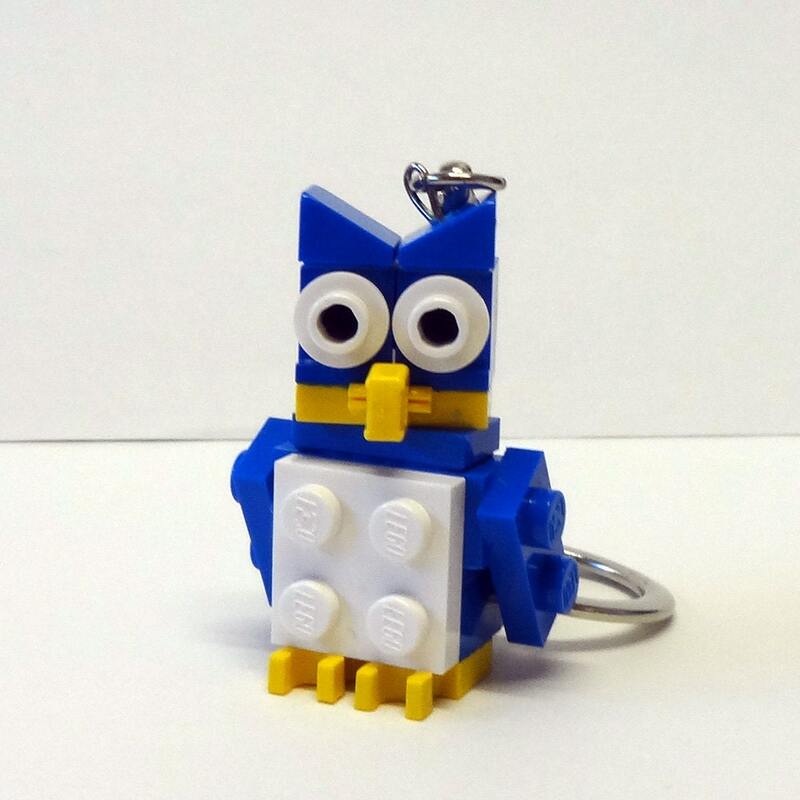 The LEGO Ambassador Program is designed to give the AFOL Community a direct line into the LEGO Company. The Program is essentially a gathering of community representatives that speak on behalf of the larger communities they are a part of. This group is able to bring forward the interests, concerns and questions directly to LEGO Employees. Any AFOL Community Group (online or on the map) will have the opportunity to submit nominations from their group (up to 3 people if they so choose). Not everyone can be selected for the program in order to keep the group manageable. If you choose to submit a nomination it does not mean that your candidate will be chosen, but it does mean that your group will have just as much an opportunity to get involved in having a direct representative in the LEGO Ambassador Program. We will try to get a diverse group of people who are able to represent the whole AFOL community as good as possible. Groups can certainly nominate someone already in the Ambassador Program, but the program has a two term limit in order to opportunites for more people to be involved. After a term out of the program, a previous Ambassador can be re-nominated (this rule only started with cycle 6 so all current Ambassadors are still eligible). A group that submits a nomination for the LEGO Ambassador program should be established and known within the LEGO Community. What should a nomination have in it? * Name and age of the nominee. * Where is the nominee from? * Which Group does this nominee represent? as to what you really think would benefit your communities the most. July 1, 2009 by midnight GMT. If a nomination is received after this time it will be automatically rejected. The new cycle will be announced on approximately July 8, 2009.
Who Should the Nominations be sent too? What might a LEGO Ambassador be committing too? * LEGO Ambassadors are committing to represent their communities interests to the LEGO Group. be interested in working on. It all comes down to how they feel they can best represent their community. Team and other LEGO Employees as well. along. If you don’t give time to it then you may not be dishonoring the nomination you received from the community. There is no NDA requirement to take part in the LEGO Ambassador Program for Cycle 7. There may be an instance where a special project will come up and the Ambassadors may have to sign an NDA to participate in that, but it will take place in a separate forum in order to limit confusion as to what can be said outside of the Ambassador program. Otherwise, anything shared in Ambassador Discussions can be shared with the AFOL Community. This next session of the Ambassador Program will last approximately one year. Thank you all. Your nominations are very valuable for helping the LEGO Community Team choose the next round of LEGO Ambassadors. Well Classic-Castle has another great contest going on and its a big one!